3D printing is the act of making three dimensional solid objects from a digital file. An object is created using an additive process which involves putting down layers of material until the object is created. 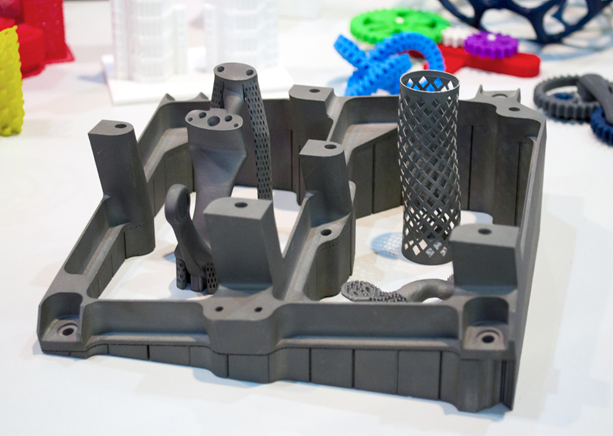 Unlike traditional manufacturing, 3D printing produces complex objects using less material. 3D metal printing is gaining popularity in the UAE because a variety of products can be made using different materials, for example, jewelry, kitchen-ware, and even key-holders. Objects produced this way are better, lighter and 3d printing metal parts use less energy while keeping wastage at a minimum. The latest inventions in this field have made it more effective and affordable. In order to choose the right metal 3D printer, you need to know the different materials used to produce various items. Because people want to create different objects using 3D printers, the materials used in production should be unique, for example, you cannot produce jewelry and sunglasses from the same material. Some of the materials used in metal 3D printing include metals such as cobalt chrome alloys, stainless steels, titanium alloys, and aluminum alloys. Other methods such as Direct Energy Deposits are also used. Objects created from cobalt chrome alloys such as ASTM F75 CoCr are used to make orthopedic and dental tools which require nickel free components. These objects are resistant to high temperatures, corrosion, and they are durable. Auto race car engines parts, as well as jet engines and gas turbines, are made from cobalt chrome alloys. Stainless steels are mostly used in automotive, food processing, and medical applications. Because of its non-corrosive properties, stainless steel 316L is used in marine applications and in a few medical instruments especially when small quantities are specified. Titanium alloys are commonly used to make industrial products such as discs, rings, blades, fasteners, hubs, and vessels. They are also used to produce gearboxes and connecting rods. They are biocompatible which means that they are mostly used to make medical tools especially, when direct metal contact with tissue or bone is expected. Aluminum alloys have a high strength to weight ratio and also resist corrosion as well as metal fatigue. They contain fine-grained microstructures with almost equal grains and are as strong as other alloys. Aluminum alloys fuse excellently making them the most favorable alloys for metal 3D printing. Metal 3D printing uses other methods such as Direct Energy Deposit which is utilized in industries such as oil and gas, aerospace and defense as well a marine. Aluminum, steel, and titanium alloys are used in this process. HP claims that their HP metal jet can create production grade metal parts in high volumes. It provides users with 50 times more productivity at a lower cost, unlike other metal 3D printers. It produces a print volume of 430×320×200mm, this is four times the nozzle redundancy and two times the print bars. The Markforged Metal X is ten times less expensive compared to other metal 3D printers. It operates by printing metal powder bound in a plastic matrix and offers a build size of 250×220×200, and a layer height of 50 microns. Desktop Metal 3D printers: the Studio System and Production System are affordable and make fast productions. The Studio System metal 3D printer is desk-top sized and it utilizes the patented Bound Metal Deposition (BMD) extrusion method. It uses metal powders bound in a polymer mix. 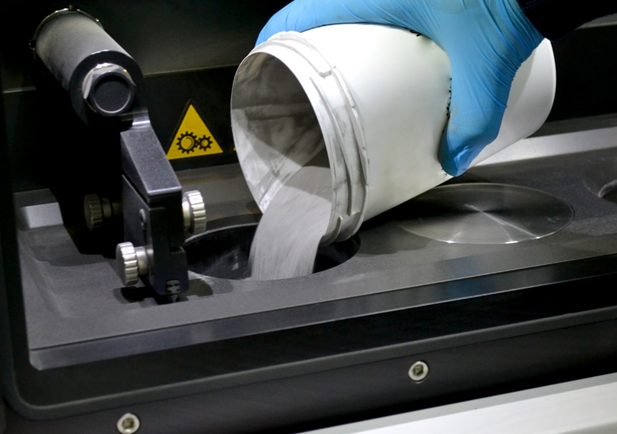 After the printing is completed, the object is placed in the Desktop Metal’s furnace at a temperature of up to 1,400 degrees Celsius which melts the polymer5 and leaves the metal part. The Production System uses single pass jetting process where metal powder is deposited by the printer followed by a binding agent. Using metal 3D printers has several benefits such as, the products are strong, lightweight and unique, there is minimal wastage during production, and the objects are unique and can’t be cast. However, there are a few things you have to keep in mind, for example, it is difficult to find the right framework for your design and large parts cannot be produced. Metal 3D printing has become a popular process of production owing to the fact that less material is wasted, for example, in the aviation industry during production using the traditional method almost 90% of the material was cut away. However, using a metal 3D printer they are able to create lighter machine parts, therefore, saving money and fuel. In a nutshell, metal 3D printers can be used by companies to build lighter, durable, and can be used in different professions.